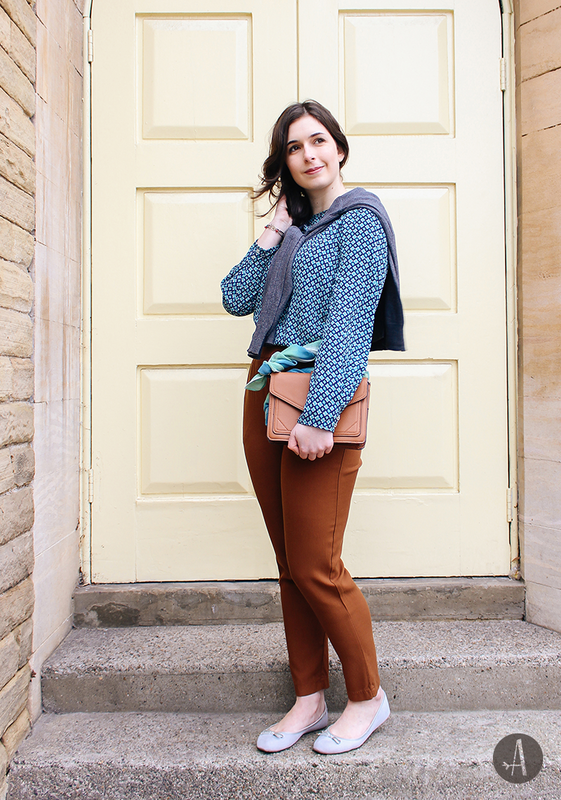 The ones who saw the video on Vine and/or Twitter already know these earthy tone pants and matching bag. However The Darjeeling Limited also has bright colours… See how similar the shirt is to the train’s wallpaper. Coincidence?! To get the sofa print I wore a scarf made at Atelier D’Naty with different tones of green. But I didn’t wear it on the neck! I wrapped it on my bag strap to be more original. Don’t forget to follow me on social media to know more about this Wes Anderson movie and see more of this look! Quem viu o vídeo no Vine e/ou Twitter já conhece esta parte de baixo, umas calças em tons terra e uma mala a condizer. Mas The Darjeeling Limited também tem cores vibrantes… Reparem quanto esta camisa é parecida com a faixa decorativa do comboio. Coincidência?! Para transmitir o estampado dos sofás usei um lenço que fiz no Atelier d’Naty com vários tons de verde. Mas não o usei ao pescoço! Envolvi-o na alça mala de Mango para ficar mais original. Não se esqueçam de acompanhar as redes sociais para saberem mais deste filme de Wes Anderson e verem mais deste look! You must be <a href="https://ararapintada.com/wp-login.php?redirect_to=https%3A%2F%2Fararapintada.com%2F2015%2F03%2Fthe-darjeeling-limited-look%2F">logged in</a> to post a comment.